Many people, for better or worse, avoid going to the doctor. No news is good news or if they feel fine all must be fine. But often there will at least be some kind of warning sign to nudge you to seek help. It may not be serious or life threatening, but it’s enough to get your attention. This happens in business as well. In this article we will talk about a few of these that should make you pay attention. All businesses have bills to pay and if you don’t hit your revenue targets you may be in a more and more compromised financial position. You may start to rely on credit card debt or some of the higher priced alternative financing options out there. This can lead to a challenging situation if managed from a position of stress without foresight. Instead of limiting your liability to your corporate obligations, you may be putting your personal assets at risk as well. Why are you missing your projections and what can you do to fix the situation? Sometimes we have health problems because of genetic dispositions or because of choices we have made outside of the business. But on many occasions we’ve heard stories about health problems directly related to a business. The stress you are dealing with has to go somewhere, and sometimes it’s inflicted on your body, with devastating results. If your business is causing you health problems, what are you going to change? Many of us get into a particular business not just because we are good at it, but because we happen to enjoy it and find meaning in it. But sometimes, for various reasons, we lose our mojo. Very often it’s because of burnout. If you’ve lost your passion for your business, can you keep it going? While it’s true that businesses pivot to deliver something slightly (or greatly) different from where they may have first started, sometimes in the excitement to build and extend, a mission can get lost or muddled. These effects are felt throughout the business: from customers who aren’t sure exactly what you do, to staff who are confused about the change in direction, to you, who repeat what you think the mission of the company is but which has no basis in the reality of what your company is doing day to day. If your company isn’t mission-focused, how will you correct that? If you don’t see the writing on the wall, sometimes your staff will. And when it’s key staff that leave, it’s the hardest to take, as they are the hardest to replace. They leave with institutional knowledge that is hard to pass on, and worse, they are probably leaving for preventable reasons. If any of these are an issue for you, that’s cause for concern. If you have more than one, you’re in a crisis and need some help. If you want to rebuild and keep going, it’s possible, but it’s going to take a lot of work. 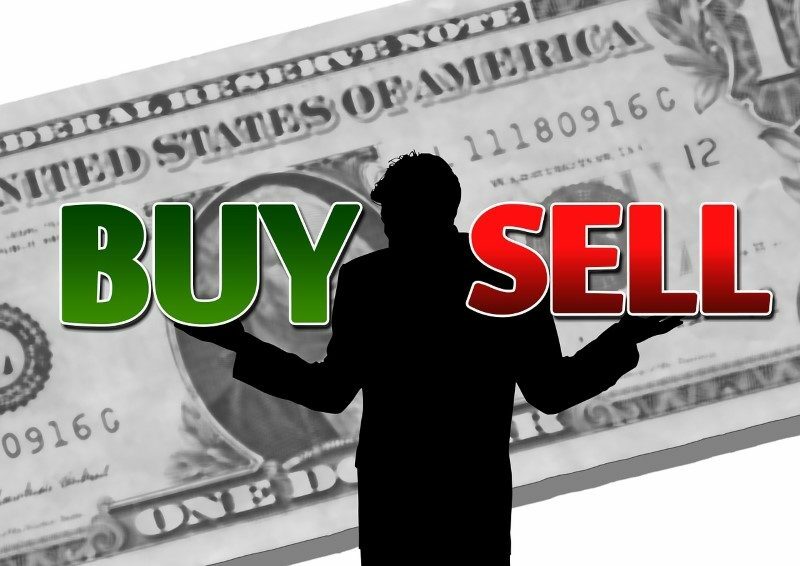 But it may also be a good turnaround opportunity for one of our opportunistic buyers and can offer you a light at the end of the tunnel instead of just a longer tunnel. Give us a call to see if we can help. In previous articles we’ve made the case for having an annual meeting to make sure your staff are properly rewarded for the year that has passed and are properly oriented for the year to come. But, have you considered doing an annual meeting for yourself? A Year End Review, you could call it. Enough time has passed since the beginning of the year that you can’t defer to holidays and time off. We are well and truly into the year, but it’s also a perfect time, if you haven’t already done so, to look back. The question that sits above all the other more specific ones is “how did last year go?” Did you feel good about it? Why or why not? This assumes some things: that you had a plan or orientation for last year whereby you have something to judge or compare it to. If you didn’t have a plan, well that’s only fine if you actually intended that, most probably because you are happy with your performance and hit the cruise control button for your life last year. And you might be ready to do that again this year. But the point is that’s not laziness. That’s being intentional. It’s knowing what you want and then executing it. The same cannot be said of the person who put up some goals, entirely missed them, and then moves into the next year setting new goals without examining what went wrong with last year. How did we do against last year’s numbers? What will we do this year? Am I still excited about this? Why or why not? Do I want to sell? If not, do I have an exit strategy? Why do you want to own a business? Have you talked to a broker about it? Have you taken at least a basic look at how you would finance it? How serious are you about it? How was your pay and performance this last year? Are you happy with them? Why or why not? What will be your exciting challenges this year? Will there be any? Why or why not? Is this really what you want to do – short, medium, or long term? Why are you unhappy at your current job? What are the top things that you dislike that you would like to see rectified in a new situation? How serious are you about making this change? Why or why not? We have a pretty good record of hitting our goals here at Apex, but we don’t let that build complacency. We’re always looking to improve and do better every year. Give us a call to see if we can be of help in your goals for this year. Keeley happened to be a hockey player, which wasn’t so unusual in Minnesota, and eventually, he was hired. Other families began to ask him for referrals to people he knew, and before he knew it, College Nannies, Sitters, and Tutors was born as a business. The business model was a one-time fee for a matching of a family to a nanny or tutor, but that quickly changed, as families were unsure about how to legally pay those nannies and Joe saw the potential for recurring revenue. So the business quickly became a staffing company of sorts. Joe thought that once he’d done this right in one location, franchising would be a way to expand further. In fact, at the time of sale, the company was very close to the 100 locations mark, a milestone not many franchising companies ever reach. But the leap forward that directly led to the acquisition of the company was software development. Joe saw early on that a major bottleneck for clients and even potential clients was scheduling. So he spent the money to develop software to solve that problem. By the time he’d built the software, the $34M the company was taking in annually had one large vendor that accounted for $10M of that revenue. That vendor was a Boston-based publicly-traded firm that specialized in child-care centers and often contracted with Joe’s company to find staff. That $10M slice didn’t happen overnight. It developed over an eight-year period, during which Joe was often invited to the headquarters as an important vendor. He got to know the executive team and, when the software was launched, he began training sessions to help them integrate the software to help their own clients. Soon, everyone around the table realized an acquisition might make the most sense. It took 11 months for diligence and closing, mostly because, as Joe noted, a public company needs specialized documents that aren’t necessarily needed when a private individual or company does an acquisition. If he had to do it all over again, he says he would have found out what those documents were and had them constantly updated in some kind of file. He’d always planned to sell the company, but when it came time for the exit, they asked, and he agreed, to stay on and keep building. The terms of the deal weren’t publicly disclosed. Joe was able to take a portion of the payout up front. He’s currently finishing a three-year earnout, but also plans to stay at the new company long-term. Joe knew from the start, once he moved from a side gig to a real business, that he wanted to build a company to sell. So he made sure his books were very clean, insisting on an annual audit for all of his franchisees. Joe was also unafraid to invest where he saw a major problem. While the investment paid off for his business operations, it also was what made a strategic acquisition so sensible for the buyer. Most importantly, Joe stuck to his brand. More than once he dealt with marketing companies who said that “College” was a bad adjective for the brand. But he owned his niche, focusing instead on the “young, vivacious, upwardly mobile” subset of college students that his clients visualized when seeing the company name. That belief was vindicated when the acquirer chose to keep the name after the acquisition. Many of our brokers are involved in giving back to our community. We will occasionally share some of those stories with you. With an attitude like that, it’s easy to see why Steve Weaver simply saw starting a Rotary Club in the Waldo/Brookside area as something logical to do. For those who don’t know, Rotary Clubs are local chapters of Rotary International, a fraternal organization dedicated to positive community initiatives and worldwide change. (One of their recent worldwide initiatives was polio eradication. Due in large part to Rotary and the Bill and Melinda Gates Foundation, the disease has been isolated to Nigeria, Pakistan, and Afghanistan). There are quite a few clubs in the Kansas City area, but they were pretty “established” and in the mold of a breakfast or lunch meeting. By picking 5:30 pm on Wednesdays at Waldo Pizza as a meeting time, Steve and the other 52 charter members of the club were signaling that they were definitely onto something different. After some time on the International Committee and as Sergeant-at-Arms, Steve currently serves as the assistant treasurer for this club. As part of the leadership team that helped to found the club in the first place, he had a chance to participate in a one-year program called Rotary Leadership Institute. While the program focuses on all aspects of Rotary and club management, Steve noted that he particularly enjoyed the classes on more effective messaging. Those classes helped people move towards action, as well as workshops on how to lead people with varying viewpoints. While there’s currently some movement behind a project to build a park/community space in an area that formerly housed a school, the Club’s main community focus is their 7540 Project. Many people don’t know that, when someone is in foster care, the state takes care of a fair number of their needs. But at 18, they age out of the system and there’s no corresponding program to help in the transition. Unfortunately, this all too often leads to these young and vulnerable people becoming homeless, dropping out of school, and/or engaging in crime. It’s always easy to complain about the lack of responsiveness of government. But rather than complain this club set up 14 apartments to provide housing and ongoing support to these members of the community. The members engage in mentoring, job training, and often come by for meals that they bring or help make. Far from just giving a handout, this initiative offers a “hand up”, and it’s already leading to some life-changing results. To learn more about this Rotary Club and its initiatives, visit their website. Earlier this year, Todd Edwin Rood was sentenced in federal court for lying about the assets and liabilities of a company he’d sold just the previous year, Rood Machine & Engineering, in Kearney, Missouri. In addition to a jail sentence of four years without the possibility of parole, he’s been ordered to pay $1.3M in restitution to the defrauded parties. On top of that, he has to pay $1.2M in a judgment to the government, which accounts for the false gain he made in defrauding the bank and the buyer. The tricks Rood used were not particularly complicated but were nefarious. He had his bookkeeper reclassify two loans ($120k) and loans from his parents ($120k) as income. He also directed his bookkeeper to record as income sales that were totally fictitious ($340k). These simple “adjustments” inflated the income of the company by almost $600k while simultaneously reducing his liabilities. Using these fake numbers, Rood was then able to present the company for sale for about $2M. The buyers sought a $1.7M SBA loan, and the SBA required them to invest an additional $200k into the business themselves. They also sought a quick sale of their home, which cost them around $40k, as Rood claimed to have terminal colon cancer. The total loss to the bank and the buyers was a little over $1.3M, which hopefully, will be paid via the restitution in the court judgment. Here at Apex, this is just another story for the “You can’t make it up” file. Although Rood wasn’t a client of ours, it doesn’t mean we haven’t seen situations like this (or even worse) come up. But it’s because we’re doing our job. We encourage our clients to bring an impartial third party with an objective eye to review their books. We can (and do) ask hard questions about assets, liabilities, and growth. These questions often bring issues out into the open where they can be dealt with before we ever bring the business to market. We know that if it seems too good to be true, it often is. Benefit from our experience honed over thousands of business sales. Let us pair you with professionals who can assist with due diligence so that you don’t become a sad part of a story like this one. 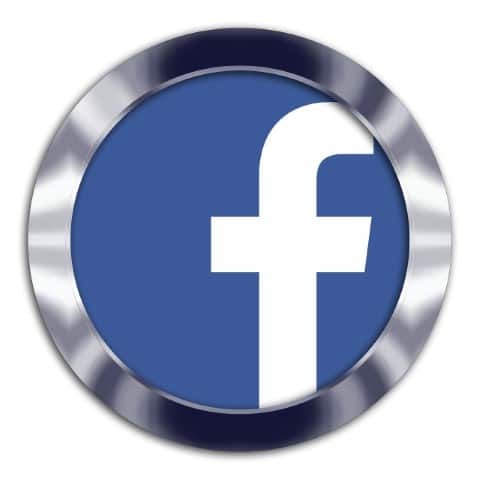 While this news may seem to be “Facebook’s problem” it really underlines some themes all of us need to be clear on at our own businesses, with our employees and clients. While Facebook took some consolation in pointing out that this was “not a hack”, many users were displeased. Elon Musk deleted his and his company’s Facebook accounts and started the #deletefacebook trend on Twitter. Facebook has never truly taken user privacy seriously, and worse, they didn’t make it easy for users to protect that privacy. Unlike the old days of paper shredders, data is more sturdy. Once it gets out into cyberspace, it’s very hard to retrieve and “shred.” Therefore, it’s important to make sure that, whether in paper or digital format, data of your employees and clients is carefully safeguarded, and if necessary, periodically destroyed. Do you have these policies in place at your company? If not, there’s no time like the present. Cambridge Analytica, in the wake of this scandal, has been able to claim, rightfully, that nothing they did was illegal. Users had waived privacy rights (or simply, as 99.9% of us do, clicked past the terms of service without reading) not just by using Facebook, but by taking the survey. While some might rightfully note that the question of morality should have always been in our minds, the fast-moving world of the Internet has gone a long way toward blurring the legal/moral line. It’s times like this we can slow down, take stock and recalibrate. Questions of “Is it legal vs Is it moral” only make sense in a company that has stated values. If you and your employees believe that clients are to be protected, not exploited, then you’ll pay more attention to gray areas like this. Even better, your clients will always appreciate and respect “opt-in” possibilities for whatever you might choose to do, whether it’s a survey, a study, or a simple analysis of what they’ve done over time. While some observers have pointed out that this debacle is a setback to Mark Zuckerberg’s not-subtle presidential aspirations, he did manage to utter the phrase “We made mistakes” which tone-deaf “leaders” like those at Equifax and United failed to do when their companies publicly stumbled. Nobody likes mistakes, but almost all of us hate denial of mistakes or a failure to apologize. Walk through “disaster” scenarios at your own office and have templates of press releases or responses ready to go. That way, if something terrible happens, you’re ready for it and don’t have to do the critical thinking under pressure. 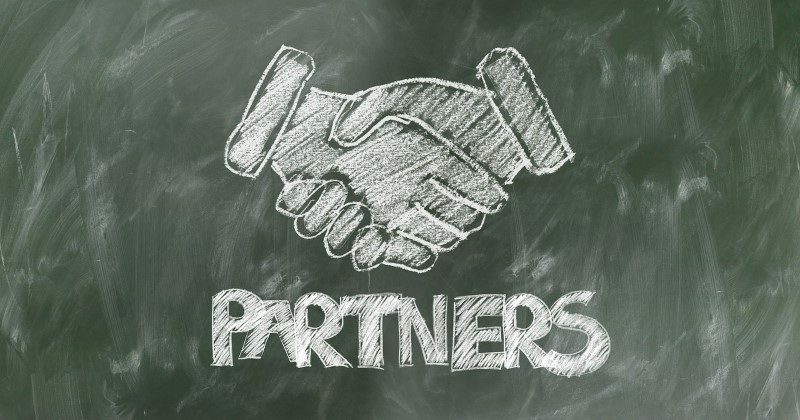 In a previous article we discussed things to ponder when considering a business partnership. In this article, we’re going to deepen and broaden the conversation by considering the question from the aspect of bringing on multiple partners. You need to start with why and ask yourself if you really need business partners. Would those partners provide an accelerant for what you’re doing? Are they necessary for you to do the business at all? Do you share the same vision for the business? Lifestyle business or a growth business? Does everyone have the same answer to that? If not, there’s going to be a problem. Do you have the same enthusiasm and energy for the business? To invest time, money, and mental energy, this can’t simply be a “would be good to do” but something more like a “have to do.” Make sure you’re selecting people who share the passion for what you’re building, not just because they have the right resume. If you’re going to explore bringing on multiple partners, make sure that your skill sets complement one another. Naturally, there will be some overlap, but there’s no point in having five Operations people and no Salespeople, or vice versa. The right people on the bus aren’t just defined by personality, but by what they bring to the table. When there’s overlap, it might make sense to pick the best one of multiple choices. Do you get along? Do you have any track record of working together on anything in the past? This is key. Without this personal experience, you’re simply taking a guess. We’ve all witnessed partnerships fall apart, sometimes spectacularly and publicly. These situations can often be traced to things that were never said or addressed. When you first begin ideating about starting a company together, make sure everything is on the table. Spell out rights and responsibilities. Give special attention to what happens when someone leaves and how that happens. By highlighting from the beginning that an agreement isn’t about when things go right, but how to smartly handle the business when things go wrong, people are free to objectively share all of their concerns. Be clear on how decisions are made and who makes them, as well as how profits are to be paid out. 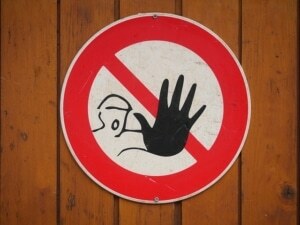 Do your best to create an environment for open, honest discussion, leaving as little as possible unsaid or unplanned. Speaking of partners, we’re always looking for the right people to join our team here at Apex. If you know someone who might be a good fit for us, send them this article or connect them with us via email! It’s one of the surest and most necessary components of the growth of any business, yet it’s sometimes looked at too simplistically. “You get to do this now,” only works if your colleague or employee knows he/she has your trust. Without that trust, what you delegate can be undermined from day one. 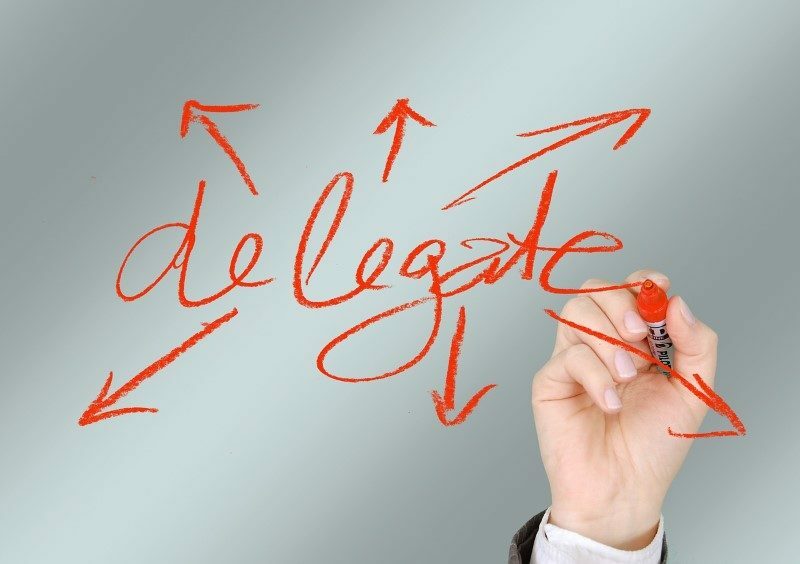 In order to delegate, you must first prepare. Write down tasks and competencies without any particular person in mind so as to help you avoid biases or avoid writing things down. You made mistakes when you started working on this particular task/issue/skill set, so will they. Give them permission to make mistakes as part of the learning process and they will tell you when something happens rather than try to hide it from you. It’s yet another way to foster extreme ownership. Make sure to check in at regular intervals to make sure your delegate has everything he/she needs. Sometimes they just need an opportunity to chat about something that they considered innocuous but that you could use to give them great insight. Often, when they ask you how you would do something, reverse first: “I can answer that, but first I want to hear your instincts and thoughts.” It signals your confidence in them, but more importantly, it gives you the opportunity to say, “Yes, and…” or “That’s exactly what I would say/do,” which is a great boost to his/her confidence and mindset. Remind them of your trust and confidence (and mean it). Successful delegation is a two-way street. It should free you up to do more of the work that you do best, and it should give your delegate an opportunity to grow in skill and ability. Both of you then have the chance to offer each other more opportunities for growth. Delegation is a machine for growth, but trust is the oil that makes it run. 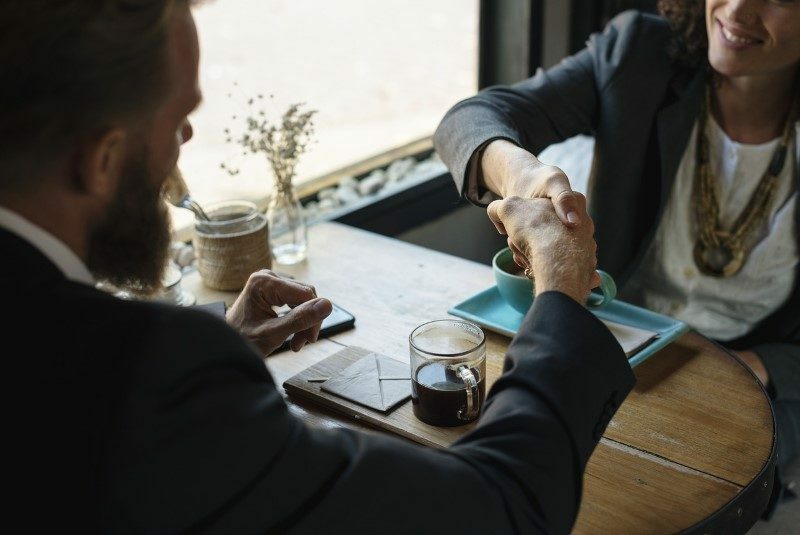 As a business owner, you create more enterprise value by proving to a potential buyer that the business operates successfully as a team rather than depending solely on the owner. Equity or Profit Sharing? What’s the Right Way to Reward Employees? In today’s competitive marketplace, it’s important to consider key differentiators for your company when it comes to attracting (and more importantly, retaining) key members of your team. While we advocate keeping cultural fit in the forefront of your mind when you hire, even those who fit the best with you may not be with you long term. Life changes or spouse relocations can intervene and take some of your most talented people away. In most small businesses, it doesn’t make sense to do profit or equity sharing with every single person in the company, but rather with those who it would be devastating to lose. Profit sharing can include equity, but it usually just means sharing a proportionate share of “profits” (however you determine that at your company) based on a formula everyone understands ahead of time. This can also add extra eyes to your financial statements who are now at least slightly more incentivized to look for ways to save or opportunities to grow. If your business is younger and still growing, this is a positive way to demonstrate your core tenets and that’s particularly attractive to millennials who enjoy being valued. Equity sharing is actual long-term ownership in a company through stock, stock options, membership shares, or other vehicles. It involves serious legal and accounting advice and often a vesting schedule that ensures employees don’t leave with those shares prematurely. If your business is mature and stable, this might be a way to lock up some of your best people for some time to come. The reality that most business owners know is that employees are meant to be precisely that: employees. More than ever there are opportunities for your employees to create “side hustles” on their own and launch small businesses. 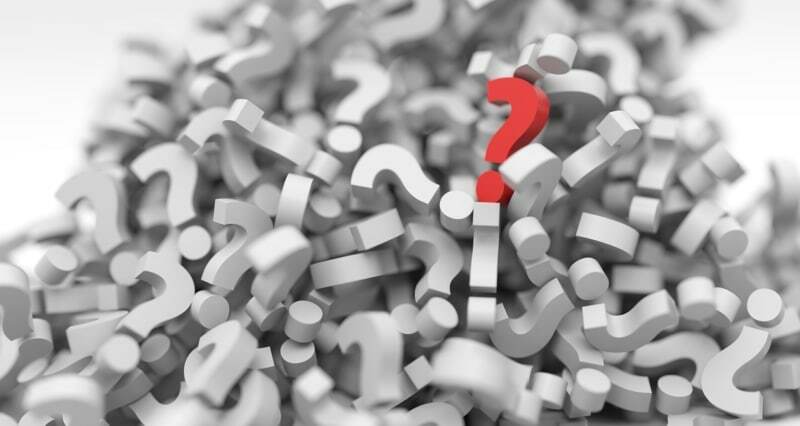 So rather than assume such equity or profit sharing schemes would motivate or excite your employees, start with why and ask them (at an annual meeting, for example) what they think you could do to give them more opportunity to engage, earn, and stay with you long-term. It’s just one more way to indicate that you’re an engaged owner who actually takes the time to ask questions, and even more shockingly, listens to the answers. Check with your CPA and Financial Advisors on the tax and savings benefits of Profit/Equity Sharing. If you need assistance with connections, contact your Apex Advisor. https://www.kcapex.com/wp-content/uploads/2018/02/reward-employees.jpg 535 800 Apex Business Advisors http://www.kcapex.com/wp-content/uploads/2015/06/ApexBusinessAdvisorsLogo-216x130.png Apex Business Advisors2018-03-19 06:00:132018-02-26 15:17:30Equity or Profit Sharing? What's the Right Way to Reward Employees? 2017 was an eventful year in many respects. Politics, cryptocurrency, and social issues were constantly in turmoil and at the forefront of discussion. While it’s probably a bit of a stretch to attribute entire rises in the stock market to one person in the White House, it’s clear that currently business confidence in the U.S. is at a recent high. 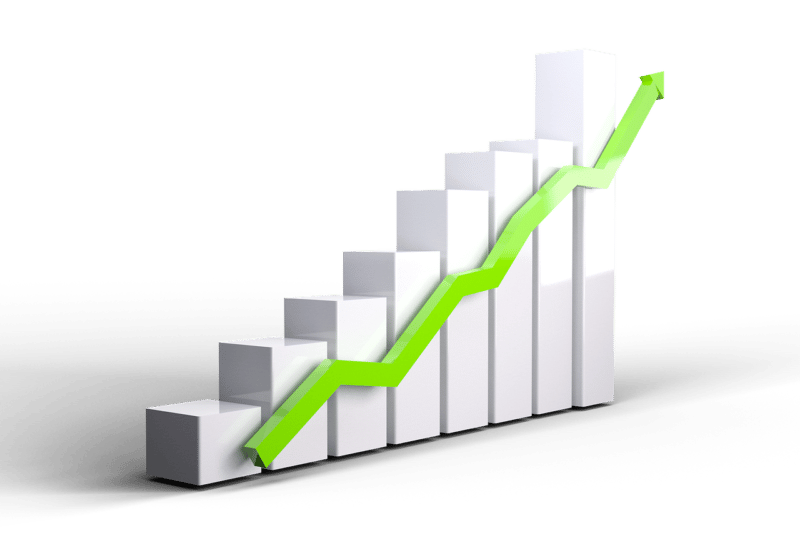 Stocks are continuing to grow and advance and that also leads to an openness in people willing to buy businesses to diversify their portfolios. Early on in his presidency, President Trump signed an executive order squarely aimed at going after red tape: for each new regulation, two regulations would be removed. Further, at the time of this article, the government is looking to pass a large tax reform bill. Whatever you might feel about that executive order or the particular bill, it’s clear there seems to be an appetite to finally deal with this long dormant dragon and make life easier for business owners. This also leads to confidence from sellers – who expect to see it become easier for them to run and sell a business, and from buyers, who expect fewer regulations and hence ease in continuing to operate businesses they’ve bought. Interest rates continue to remain low, making business loans a no-brainer for any who have the confidence, desire, and drive to build something for themselves. Combined with a helpful SBA, this drives confidence in buyers. In 2017 we’ve seen more buyers in the market, for all the reasons given above. Overall optimism about business and growth leads people to take leaps that they may have been waiting to make for some time. 2018 looks to be a bright continuation of 2017. If you’re looking to cash in on your hard work, or to invest some of your hard-earned cash in a future you own, contact us today!